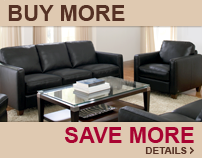 Stanton sleeper sofas are known for their incredible quality and workmanship. All Stanton products offer a lifetime warranty on the frame, cushions, fibers and springs. Stanton makes all their furniture in the State of Oregon, with materials from the Pacific Northwest. Styles are offered in a vast number of fabric options, include 2 accent pillows and 3 mattress options. We have highlighted some of our favorite Stanton sleeper styles along the right side of this page. Stanton produces sleeper sofas in over 20 different styles in Twin, Full, Queen and Sectional sizes. On all Stanton brand product pages, you will notice several fabric images (often 10 to 20) which can be clicked on as part of our Special Offer Upholsteries program. Every Stanton sleeper is available in hundreds of fabrics--but every style is also offered in a group of "married fabrics", which offer additional savings for that sofa bed in those particular fabrics. Click on Customize and Purchase to select your upholstery from the entire catalog, or select from the Special Offers highlighted on the product page. Standard Mattress (Included--1 year warranty): An inch thicker than a standard sleeper mattress; this bed, coupled with the superior mechanism, provides a good night's sleep. Deluxe Mattress ($100 Upgrade--5 year warranty): A terrific value, the Deluxe mattress offers almost twice as many coils for an additional $100. There is a foam topper included below the ticking to provide plush comfort on top of the superior support of the Deluxe option. Made by Englander. Premium Mattress ($300 Upgrade--10 year warranty): The long-standing favorite by Englander, the Premium Memory Foam mattress offers 390 heavy-gauge coils below a memory foam top; all wrapped in a premium knit cover and protected by a 10 year warranty. Superior comfort is provided night after night by our best selling Memory Foam bed.